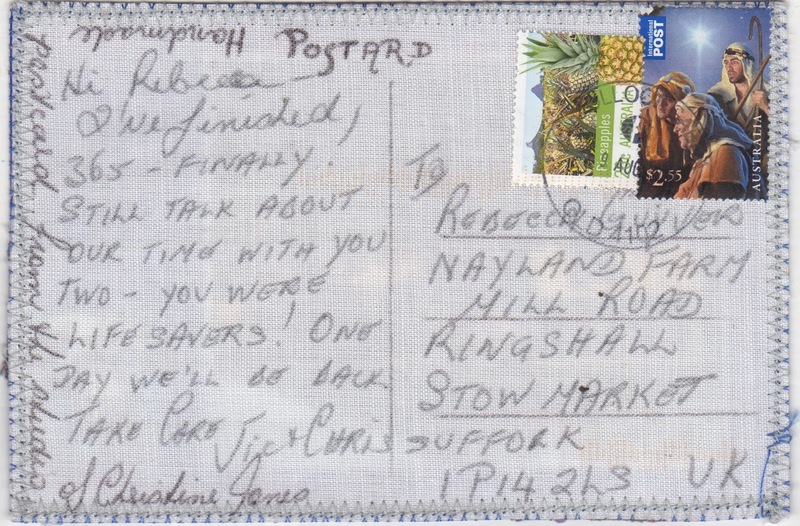 Two years ago at just about this time of year, Christine and her husband Vic came to Nayland Farm for a visit. I didn't KNOW Christine but I had been corresponding with her in the post and we both were part of mailart 365, an internet group that shared mailart we made every day for 365 days. I felt as if I knew Chris and I iked her aesthetic and resilience. 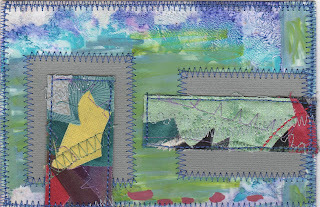 She made 'flood art' using her precious ruined photos in her quilted mail art. So when she visited she fit right in to the Nayland Farm ways. Vic even cooked! Christine is a quilter extraordinaire. I know because she sent me a fine piece of quilting-magic as a thank you for her visit. 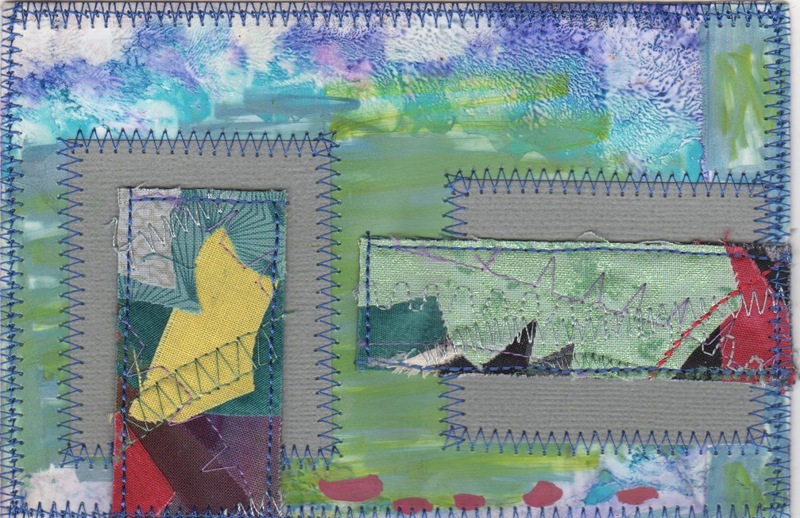 I'm delighted to see she continues to make mail art and that her quilting spills over into it! It's the Aldeburgh Food festival in a week's time and the Macmillan coffee morning soon too. Remember the crazy headbands we made? Hi Rebecca - I remember our visit with such fondness. You won't believe the coincidence. The lady we stayed with in Peterborough is visiting us here in Brisbane right at this very moment! I shared your post with Vic & Sue - brought back such lovely memories & I do remember THOSE headbands.